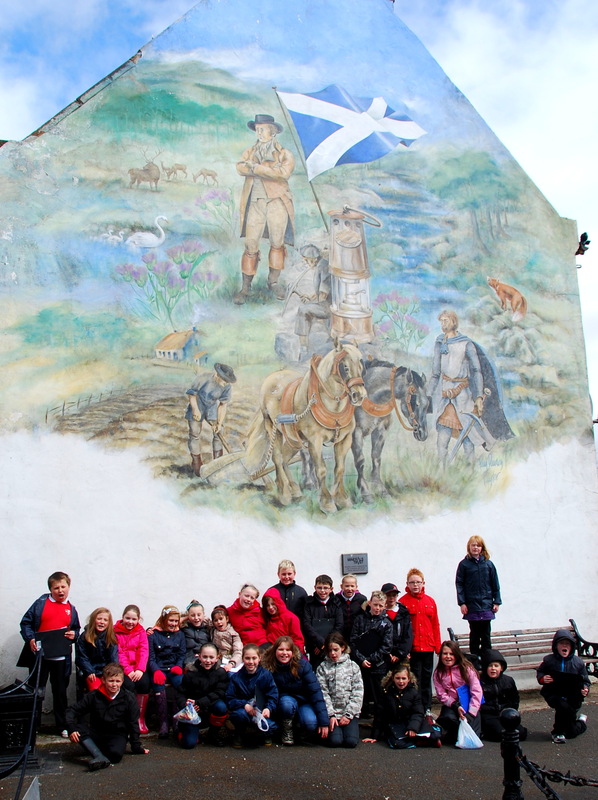 New Cumnock Primary School blazed a trail for other schools outwith the Kilmarnock area with a visit to the marvellous Burns Monument Centre (BMC). Heritage Services officer Ross McGregor said: “It’s the first time a school outside the Kilmarnock area has travelled to visit the BMC. The children have been able to look into our archives and handle very old texts, maps and photos in this wonderful setting”. This entry was posted in Learning from Others and tagged Auld Kirkyard, Burns Monument Centre, Heritage trail, New Cumnock, New Cumnock Primary School, Robert Burns. Bookmark the permalink.